We’ve been eating vegetarian a few times a week and I’ve been experimenting with satisfying, simple, meatless meals. 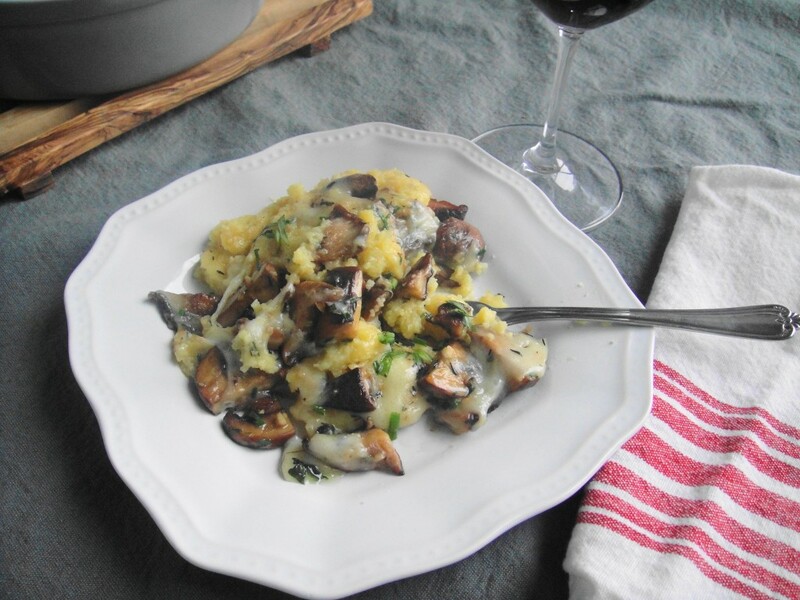 I’m not a vegetarian by any means, but I enjoy eating meatless meals quite often, especially when those vegetarian meals are cheesy, herb-filled comfort meals like this mushroom and herb polenta. 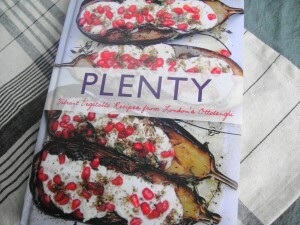 This recipe is adapted from ‘Plenty‘ by Yotam Ottolenghi. Famous for his famous London food shop ‘Ottolenghi’, he became renowned for his innovative vegetarian offerings. This cookbook is full of ‘vibrant vegetable recipes ‘ that are globally inspired and full of flavour. The recipes are accessible and easy to follow with interesting stories about his inspirations and beautiful photography for each recipe. It’s one of my favourites in my vast cookbook collection. 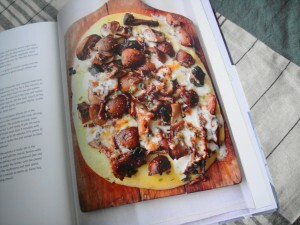 Mushrooms are so satisfying and the perfect meat substitute. 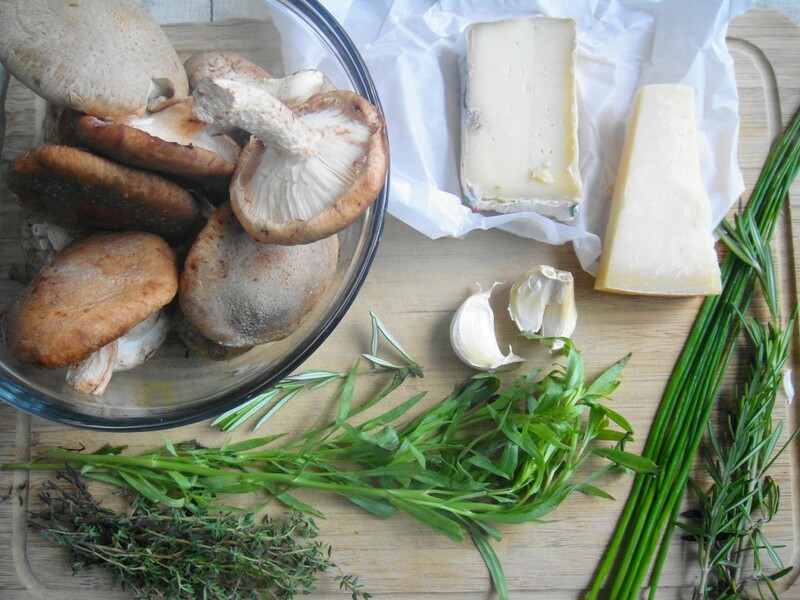 You can use any mushrooms you like, and play around with the herb combinations too. I’ve used basil and parsley before, and played around with the proportions of the herbs. The options are limitless. Taleggio melts so amazingly and has a rich, salty flavour so perfect in this dish. 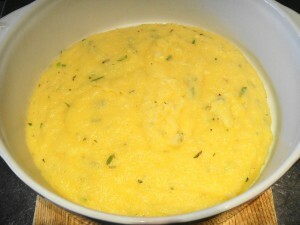 Because Taleggio can be quite salty, it’s a good idea to add salt sparingly to the polenta. I love that this dish is elegant enough to serve as a vegetarian main course for guests yet simple enough for a weeknight meal – perfect vegetarian eating that’s decadent and delicious. 7. 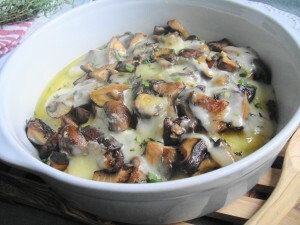 Top mushrooms with Taleggoio and place in broiler 8. Done when cheese is melted and bubbling. Serve hot. Pre-heat a large frying pan over medium-high heat. 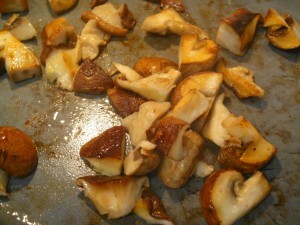 Add half olive oil and half the mushrooms to pan, and fry for a few minutes until just cooked, about 5 to 6 minutes. Don’t stir too much to get more golden brown bits. 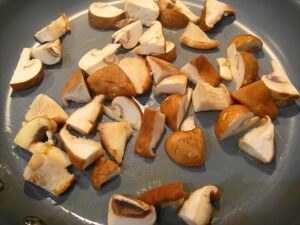 Remove mushrooms from pan and place in a bowl and set aside. Repeat with remaining olive oil and mushrooms. Remove pan from heat and add first batch of mushrooms back to pan. Add two-thirds of the garlic, and all the tarragon, thyme, and truffle oil. Stir to combine and set aside. Bring vegetable stock to boil in a medium saucepan and reduce to simmer. 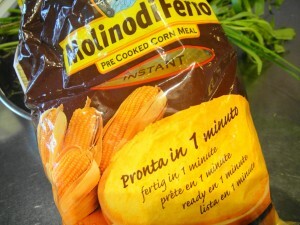 Once simmering, slowly pour in polenta, stirring constantly with a wooden spoon. 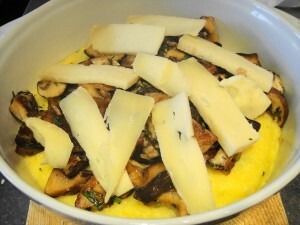 Cooking time will vary depending on brand; polenta is done when it leaves the sides but is still runny. Remove from heat. Preheat the broiler. 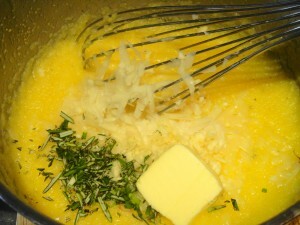 Add Parmesan, butter, rosemary, and chives. Add salt and pepper to taste. 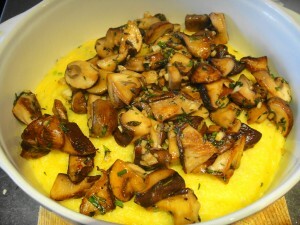 Spread polenta in oven-ready dish and top with mushrooms. 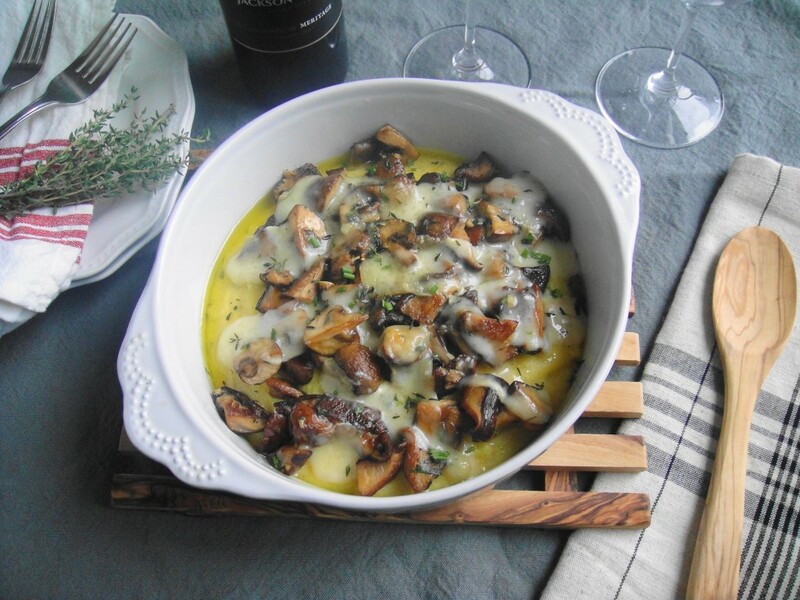 Top mushrooms with Taleggio and place under broiler for 5 minutes or until the cheese is melted and bubbling. Serve hot. this looks so good! Can’t wait to try this!